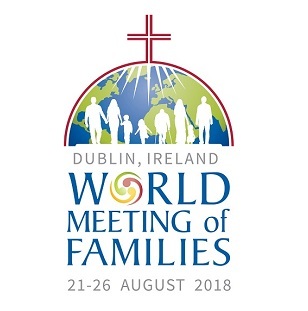 A few weeks ago, banners, posters and leaflets began to arrive in parishes announcing the World Meeting of Families in Ireland, 21–26 August 2018. Their arrival coincided with the bleak assessment by Professor Geoffrey Shannon in his audit of Garda child protection procedures that, ‘The trauma inflicted on children by their parents is staggering.’ He said, ‘Children are treated like human trash in some of these cases.’ Distressing examples were given of helpless children neglected and abused, caught up in a cycle of persistent alcohol and substance abuse by parents. While the WMOF 2018 is a celebration of the Gospel of the Family and the joy it brings to the world, there is also recognition of the need for support of families who do not share the traditional model of family life. Many such families maintain only the most tenuous links with parish life and often don’t see themselves as a recognised or valued part of the parish community. Inspiration for examples of irregular situations in families abound in the Scriptures – especially the book of Genesis. We think of Adam and Eve blaming each other for their difficulties; their son Cain murdering his brother Abel and later Noah with his drink problem, ‘smooth’ Jacob and ‘hairy’ Esau and their sibling rivalry and parental favouritism and even Abraham our ‘Father in faith’ pretending his wife Sarah was his sister, allowing the Egyptian pharaoh to take her so that he could prosper and then years later agreeing to bed his elderly, childless wife Sarah’s young maid Hagar in order to produce an heir and all the jealousy and trouble that provoked to the present day! The dramas and family dysfunctionalities that appear within the first few hundred pages of the scriptures could provide a new soap opera – ‘Middle EastEnders’- without difficulty. Click here for more resources from our July/August issue.